Laura will be away from email and phone between December 25 – January 10. Please feel free to leave messages, and we will get back to you once we return. Happy New Year! Apologies on being slack about updating the site the past few months. We have had terrific volunteers for the Friday Kitchen Concerts since the last update. A big thank you to these music volunteers: September/Gina Chavez, October/Jon Dee Graham, November/Barbara Kooyman, December/Raina Rose. All of you were great, and we are grateful to each of you! We meant to do something 3-4 years ago, but “things happened” so to speak. Now, thanks to our summer intern, we have a new web site. Thank you Frank, we really, REALLY appreciate your hard work!! Eric Hisaw and Nels Andrews both released new records last month. Run over to local record store or favorite online store and get yourself a few copies of each – one for you and a couple of your close friends of course. Anthony Salerno, aka Raised By Pandas, is this month’s Friday Kitchen Concert volunteer. Thanks Anthony for taking take off during your summer schedule to come peform! Dave Thies is this month’s Friday Kitchen Concert volunteer. Thanks for taking some time away from work to come and play for the clients at Caritas! The agency welcomes Frank Ramirez as our Intern Assistant this semester. We can use the help these next two months – thanks for contacting us Frank! We are looking forward to meeting Grace Pettis this month – she has volunteered to be the Friday Kitchen Concert volunteer and we can’t wait to hear her songs. Thank you and see you soon Grace. Thank you to Joseph Langham and Lisa Leanne for being our Johnny-on-the-spot musical volunteers at the Friday Kitchen Concert last month. We really appreciate you filling in and we enjoyed hearing all of your songs. This month we welcome our friend Carrie Elkin as the musical guest. Check out tour page as several of our artists are in the road quite a bit this month. We love Spring! Matt the Electrician is going to have his song, Valedictorian, played on the ABC show Eli Stone on Thursday, April 10th, 10pm (9pm central). Yeah Matt! Laura has been named as one of the Ballet Austin Guild’s “Women on their Toes” Honorees for 2008. The Guild honors local not for profit agencies and one of their volunteers during this annual fundraiser. Laura together with her husband John are one of the 10 honorees this year and were nominated by Caritas of Austin for their volunteer work there. Laura’s volunteer work includes organizing monthly concerts and South By Soup Fest each year benefitting the Caritas Community Kitchen. Thank you Molly at Caritas, and thank you to the Ballet Austin Guild for the honor. The six and half hour party raises money for the Caritas of Austin Food Services programs, specifically the Caritas Community Kitchen and Food Pantry. The event is hosted and promoted by ComboPlate Booking. Free and open to the public, live music will be provided by the artists on the ComboPlate Booking roster. Money will be raised by raffling off CDs from the artists and gift certificates from local restaurants, and all band tips will go to Caritas. Austinites who would like to help fight hunger in Austin – and hear some great live music while they are doing it – are encouraged to come to Gueros on March 12th. Not open to the public, but worth noting, ComboPlate Booking will also present a 3 day musical showcase March 12/13/14, South By Soup Fest, exclusively for the clients of the Caritas Community Kitchen. 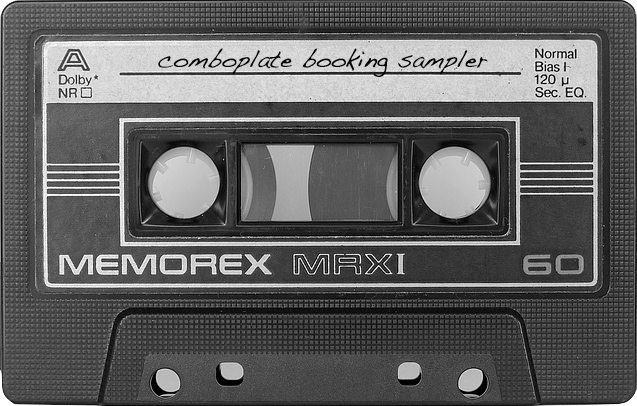 Stop everything you are doing – go get your calendar – and write down March 12th for the annual ComboPlate Booking Roster Party – we will be back at Guero’s Taco Bar. More details next month, we will see you there! The agency welcomes Kim Morgan as our Intern Assistant this semester. Thanks for all of your hard work so far and we are looking forward to all of your help this Spring. Everyone knows we need all the help we can get! Laura joins booking agent friends Marie Arsenault (Roughneck Booking) and Sarah Hoffman (Road Work Music) at the Folk Alliance Conference in Memphis again this year. For the conference, they will be presenting as the Indie Agents Collective. Be sure to visit the IAC booth at the Exhibit Hall and come to our Folk & Roll Showcase (Room 1916) at the Marriott for the private showcase part of the conference. We have scheduled a terrific line-up Wednesday through Saturday, and we are proud to be hosting such talented artists – check out our web site linked above for more information. ComboPlate roster artists attending the conference this year areÂ Michael Fracasso, AJ Roach, Ana Egge and Nels Andrews – please check out their individual sites for information on their various showcase performances. Eric Hisaw tours west to California for the first time – be sure to check out his web site for more information, and thanks for telling your friends out west to come and check him out! Nathan Hamilton has put some of his art on myspace. We LOVE it, check it out by clicking here. The roster still loves playing private parties and events – contact Laura to learn more. We are happy to announce that our friend Bettysoo will be the Friday Kitchen Concert volunteer this month. Thanks Betty! Local artists continue to reach out to us and volunteer for the Friday Kitchen Concerts – thank you to Myrna Cabello for volunteering in December and even working up some Christmas tunes, and thank you to Nathan Hubble for bringing in the new year and volunteering in January. Both of you were wonderful!